1. To log in to your BrainMD Health Account begin by clicking the "My BrainMD" drop down menu item in the upper right hand side of your screen. Then click on the "My Account" link in the drop down menu. You can also click here to get to the account login page. 2. Fill in the email address and password associated with your account and click the "Login" button (fig. A). 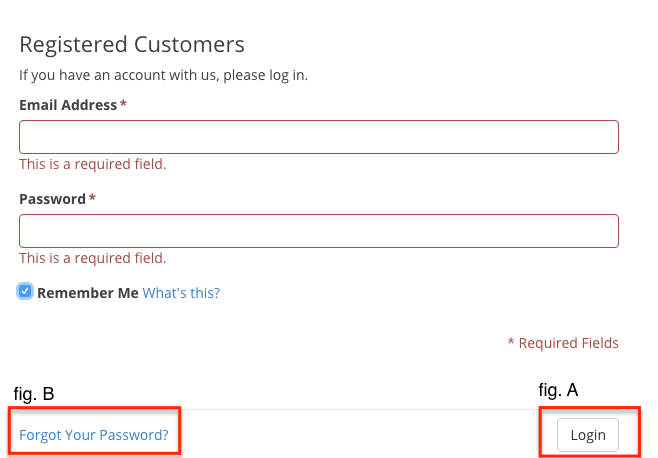 If you forgot your password click the link to the lower left of the form (fig. B) or click here to reset your password.